If you're in journalism you're on your way up or on your way down. On the last night of this year’s National Association of Black Journalists convention my wife and I were sitting in the lobby of the Philadelphia Marriott hotel chatting and having drinks with from some colleagues commiserating about the sorry state of journalism and our place in it. One subject that invariably comes up during these gatherings of the journalistic tribes is how hard it is to make a living as a journalist anymore. Newspapers have gutted their staffs, the number of places where you can go online to write for are tightening their belts and the ones that pay for content are tougher than ever to break into. It’s a buyer’s market and a lot of journalists are being shut out of it. The cliche was “last hired, first fired” but now there’s no security for anyone. Whites are just as likely as Blacks and Latinos to be shown the door when the next series of cuts, layoffs, buy outs, early retirements and firings come along. Maybe it used to be the bottom feeders were the ones who had the most to worry about when they were called into the boss’ office on Friday, but now anybody can get kicked to the curb at any moment. Job security is a joke and the few left standing doing double and triple-duty are like the last survivors in The Walking Dead. Their time is coming soon and they know it. I got a good laugh at the convention when I was informed the title “freelancer” is passe. Now the vogue term is “entrepreneurial journalist” and your business is selling Brand You. You have to have a blog, a Facebook page, a Twitter and Linkedin account. You should have streaming media of your television and radio appearances and you should be ready to strut your stuff and show you’re a 21st Century Renaissance Man ready, willing and able to navigate the brave new world of the new media world. Which is a crock. You can paint your body red, white and blue, stick a flag in your navel and call yourself Yankee Doodle Dandy. It matters less what title you go by than it does whether there are any opportunities available. If there aren’t does it really matter what’s on your 500 free Vistaprint business cards? There’s still work for journalists, but what work there is may not be permanent, may not be where you want to go or the type you want to do. Listen to the optimists and the great recession sounds like a great opportunity. This is the time for the creative class to brand itself! A day job, they say, is so 20th century – as quaint and outdated as tail fins and manual sewing machines. Thanks to laptops, cheap Internet connections and structural changes in the world economy, we’re living in a world of “free agents” – “soloists” who are “self-branding” and empowered to live flexible and self-determining lives full of meaning. We are all citizens of Freelance Nation — heirs not to the old-school stodgy, gray-flannel-suit Organization Man but to the coonskin-capped pioneers and rugged, self-made types who built this country. 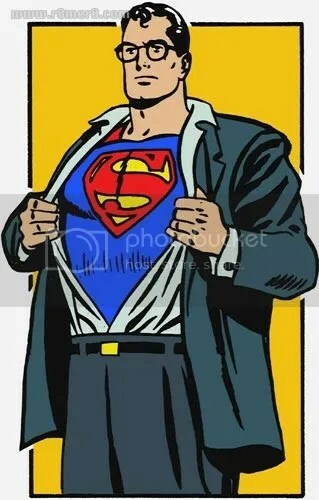 Maybe Clark Kent should be Superman full-time. But for those who must actually scrape together work in this new “gig economy” – architects, filmmakers, writers, musicians, bookstore managers, graphic designers and other downsized members of the creative class, folks made obsolete by the Internet and the current predatory style of corporations – Freelance Nation is a place where they fight to keep a home or medical insurance. Some are losing their houses. Others are watching marriages go up in smoke or falling into heavy drinking. Still others are couch-jumping for months or years at a time. Or they’re veering close to bankruptcy because of the risk of living without medical insurance. Call it the new creative destruction. Matthew Wake had paid his dues. Post-college, he’d worked as short-order cook, waited tables, worked construction and clerked in record stores. While he was living in New Orleans, playing guitar in bands, a girlfriend suggested he might try something less financially risky than piling into a van to play small clubs across the South: music journalism. One day in June, he and his colleagues were called into a room and told the paper was eliminating its arts and entertainment staff: The weekly would recycle copy from other papers in the chain. It was one of about 20,000 layoffs at Gannett under former CEO Craig Dubow, who retired last month due to medical issues and left the company with a $37.1 million golden parachute. As long as there are people willing to read, there will always be a need for people willing to write. Whether or not anyone will pay you for your words is another matter. There will always be a place for writers, but I’m not so sure there will always be one for journalists. It feels like an endangered profession. This month counts as a good one for me. I submitted an article to The Root and they published it. It only took ten months since the last one they accepted. You owe anyone money they’re willing to wait ten months before they get it? You can make a nice living as a freelancer, but it’s going to take a lot of writing for $25 bucks here and $100 bucks there before you make any money at it. That is if you can find a publisher who doesn’t expect you to write for nothing. I wouldn’t tell a student today looking at a career to consider journalism. No way. If they ignored my advice and pursued the profession anyway, I’d tell them they better have a strong minor to fall back on. Clark Kent needs Superman more than the other way around. 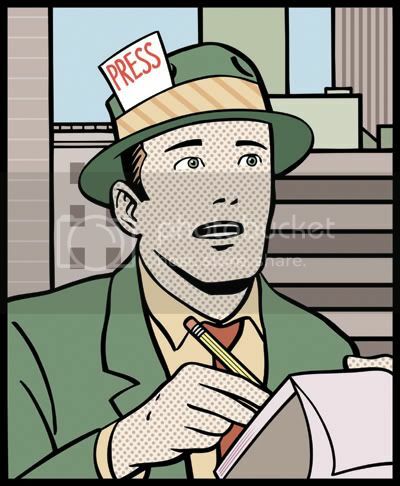 Reporters should be considered an endangered species. I guess I’m a diehard optimist. Self-deluded or not, I’d rather put my mental, and spiritual energies into believing that “great opportunities” still exist in this recession, rather than put them into believing that all is lost. Sometimes, you have to recreate yourself, if not the whole self, then those parts of the self that appear anachronistic and in need of a new, up-to-date version of those outdated segments of the self. My local newspaper has recently laid off one third of its editorial staff. The typos and bad grammar are now spreading like wildfire and many of the stories are blatant copy and paste jobs of press releases from the Internet with little attempt to put things into context or critically evaluate what is being said (and surely it’s the intelligent commentary and analysis that sells newspapers, as it doesn’t take a genius to download press releases). And then the newspapers complain they are losing circulation and blaing the Internet. But they don’t understand you can’t beat the Internet by being a bad copy of it. I suppose it’s all a logical consequence of the business paradigm that you spend as little as possible and charge as much as possible. Some profit is no longer good enough. Profit must be maximized. It all goes along with the “magical thinking” that seems to be taking over this country. Impression has taken the lead over scientific knowledge or factual experience. My friends in textbook publishing tell me I wouldn’t believe how many writers of copy for students’ lessons are doing “research” with Internet pages instead of original source material. But I believe it because I know that the increasingly pressurized deadlines in textbook production have forced that to be the case. There’s no money in waiting for accuracy. Very scary route we’re all on. And the less apt we are to question what we’re reading, the more apt we are to think stupid thoughts. I’m an optimist by nature but finding it very difficult to remain one when I really stop to think.